Saw this in the Sierra Madre mountains above Puerto Vallarta last week. Is it a vireo of some kind? 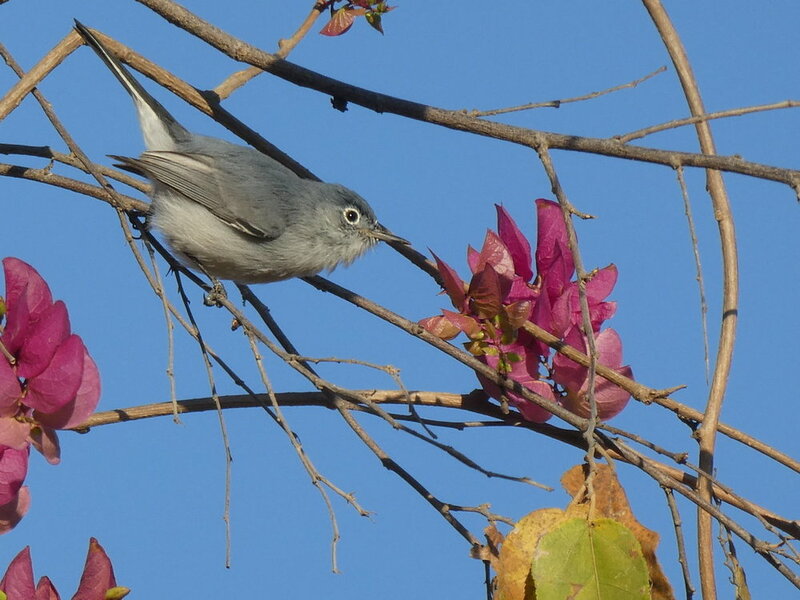 I agree with Blue-gray Gnatcatcher. Though I don't have experience with the other Gnatcatchers, looks like all the Blue-gray I've seen. I think the white outer tail feathers are a good clue.